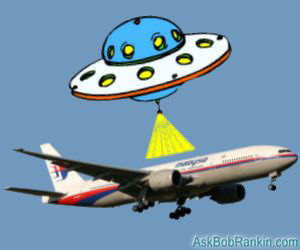 Did you hear... aliens hijacked the missing Malaysian Flight 370? Are digital Peeping Toms snooping on your wifi? Which is a better source of energy for your home... flesh eating viruses or giant magnetic coils? And how much fiber is too much fiber? Get answers to these burning questions, and the scoop on the latest tech news, in this edition of the Geekly Update. It's guaranteed to make you 146% smarter. Read, think and comment! Using public wifi is a bit like showering in a glass house -- anyone nearby can see what's going on. But a new Android app called Steganos Online Shield provides a way to protect your privacy while surfing in Starbucks. The app encrypts and routes all your mobile internet traffic through a virtual private network, cutting off access to digital Peeping Toms. The Steganos Online Shield VPN app is free, and is available from the Google Play store for Android-based smartphones and tablets. WiTricity is a start-up company developing wireless electricity technology. But don't worry, it's "perfectly safe" because it uses the same kind of mind control beams electromagnetic fields as WiFi routers. Just don't try to use a compass indoors. Twenty-two years ago this month, Nathaniel Borenstein invented email attachments, because he wanted to make sure that his future self could get pictures of his grandchildren by email. Here's a great interview with one of the unsung pioneers of the Internet. Aliens! Definitely aliens! How many of these Flight 370 rumors have you forwarded? Snopes.com, the Internet’s ultimate shenanigans-caller, has been working overtime to debunk Internet rumors, conspiracy theories, and plain old scams about the missing Malaysian airliner. Many of these chips of fertilizer are recycled from years ago, but people are still buying them. Aereo, the antenna-to-streaming TV service, shut down service to customers in Utah and Colorado following a U.S. appeals court denial of its motion to stay an injunction won by its opponents. The U.S. Supreme Court has agreed to decide whether what Aereo does is legal or copyright infringement. Meanwhile, disappointed Denver and Salt Lake City customers will get refunds of monthly fees. Biological engineer Angela Belcher has genetically tweaked a virus to produce electrodes for batteries that can be recharged thousands of times. The batteries are biodegradable, too. And "perfectly safe," because viruses only escape from the laboratory in silly movies. The FAA cannot regulate flights of unmanned drone aircraft below 400 feet altitude, a federal administrative law judge ruled last week. Not because the FAA lacks authority to do so, but because it has published no rules on the subject. Those rules have been in the making for three years; perhaps now they will get done. Facial recognition technology helped catch a convicted murderer who had been on the run for 37 years. James Robert Jones escaped from a maximum-security military prison, assumed a new identity, and lived a quiet life as an air conditioning repairman. But authorities caught up to him after comparing his old military ID photo to Florida’s database of driver’s license photos. The last thing Tim Berners-Lee expected to become a major reason why people use the World Wide Web he is credited with inventing 25 years ago? “Kittens,” he told Cnet. To celebrate the 30th anniversary of “The Hitchhiker’s Guide to the Galaxy,” the BBC has released the game in HTML5 format, free of charge. You still need a towel. My doctor said "More fiber!" Intel and its partners say they will deploy 800 Gbps fiber optic cable to supercomputer networks and data centers later this year. Currently, most data centers are connected by 10 Gbps fiber. Most recent comments on "Geekly Update - 19 March 2014"
Your rant about Glenn Greenwald was not only out of place in a technical answers site, it was over the top and erroneous. I'm unsubscribing from Ask Bob Rankin. EDITOR'S NOTE: Fine, but how can you know for sure that Greenwald is 100% honest, and how can you know the same about Snowden? You can't, in either case. Greenwald has a clear profit/fame motive, and Snowden is desperate to validate himself, and avoid being tried for treason. My comments weren't so much about Greenwald as they were about an unskeptical press and public that tends to believe almost anything without bothering to do a bit of research. As for the NSA/malware story, just think for a moment. How many terrorists have PCs with no anti-malware protection, no hard drive encryption, and hang out on Facebook? So the wireless electricity uses the same electromagnetic waves as your router. So does your microwave oven, just different frequency and power level. And the cell phones that people worry about causing cancer. So how is this safe. I saw the video with the lady PhD who was touting this technology and immediately had the above concerns. The jury is still out as far as I am concerned. I'm not surprised that Snopes.com is working overtime concerning all the crazy rumors people believe about Flight 370. I reasoned years ago that a huge amount of people have brains smaller than that of a fish. To compound things, they don't even bother to verify the stuff they blindly forward.